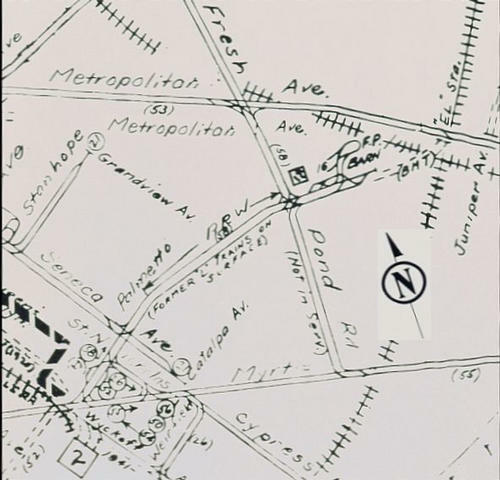 This page offers a thumbnail history the former Bushwick RR Lutheran Cemetary surface Right of Way (ROW) that is under the Myrtle Ave Elevated line from Wyckoff Ave to Fresh Pond Road. In the last part of the 19c, cities began to develop suburban communities and open air attractions and places of interest to the community. Due to the urban development within the city many church yards were closed in by surrounding development. This led to the purchase of land outside the city for use as cemetaries. The roads out to these locations were usually inadequate at best. In many cases the cemetaties were located near a railroad line. And in some cases, a prior version of a rapid transit line was built to serve the cemetary from the nearest RR station or town. This era was well before the adoption of electricity or gasoline to propell vehicles. So, a miniature or scaled down version of a steam railway was adopted to serve the needs of the cemetary visitiors, (one and both ways). This is the story of one of those cemetary lines. 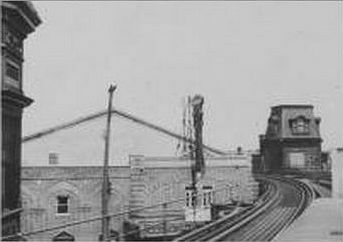 September 3, 1881 the Lutheran Cemetary Line of the Bushwick RR opened using steam Dummy engines. 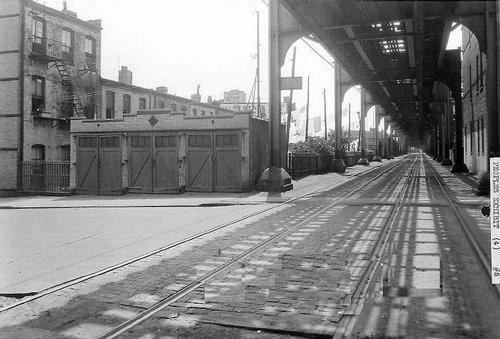 The line operated from a depot located at Myrtle and Palmetto streets to a terminal at Metropolitan Ave along the LIRR ROW. August 1, 1888 the Brooklyn City Railroad acquired control of the Bushwick Railroad. 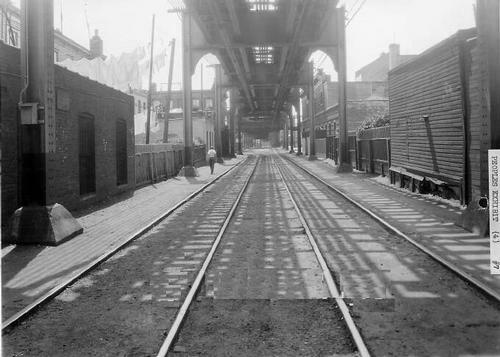 The Myrtle Ave El began operation from Sands Street Terminal at the Brooklyn Bridge connecting with the Park Street and Lexington Ave Elevated Line at Grand Ave.
Myrtle Ave El construction continued north. 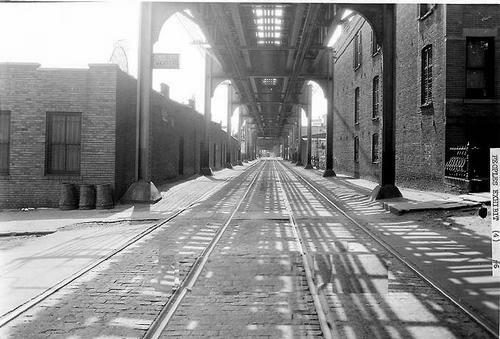 The Broadway El began operation from Driggs Ave to Gates Ave to link up with the Park/Lexington Ave Line. 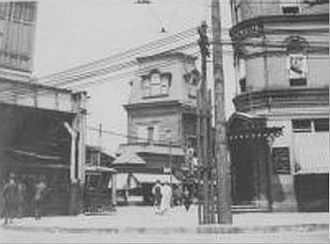 December 19, 1889, Myrtle Ave El operation was extended to a new Wycoff Ave / Ridgewood elevated Terminal at Palmetto St.
August 3, 1895 the Lutheran Cemetary Line was converted to 600vDC overhead electric trolley car operation. 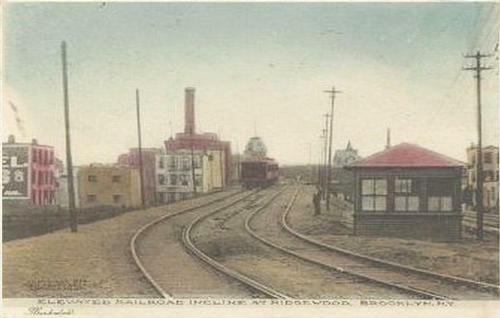 January 18, 1896 the Brooklyn Rapid Transit Co. (BRT) came in existance acquiring control of the Brooklyn City RR. 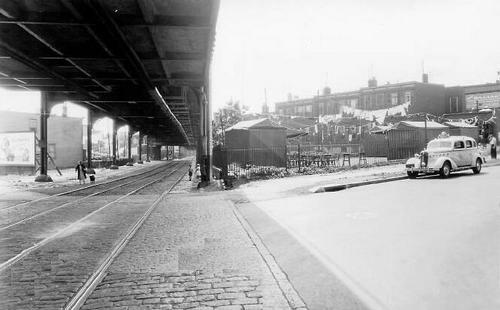 continued along the Lutheran Line ROW turning north on Fresh Pond Road to Grand Avenue, Corona Avenue and Junction Blvd to Bowery Bay (now LaGuardia Airport). 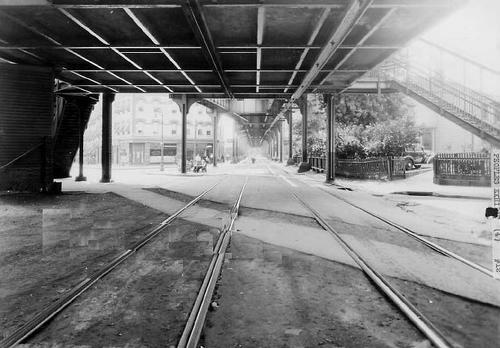 In 1899, the BRT acquired control of the Myrtle Ave El of the Brooklyn Elevated RR Co. 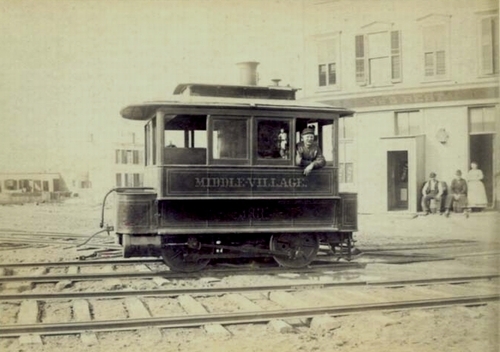 In 1900, the Myrtle Ave El was converted from steam operation to a 600vDC third rail electric power supply. 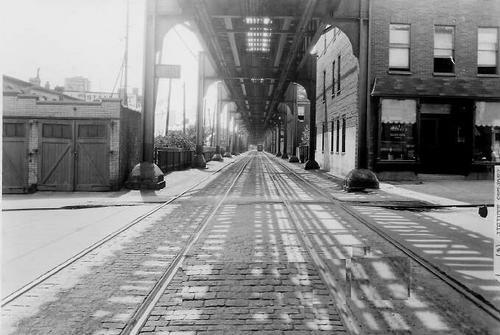 October 1, 1904, the (BRT) Myrtle Ave El was extended to Metropolitan Ave using an incline from the El at Wyckoff Ave to the the Lutheran Line surface ROW tracks. 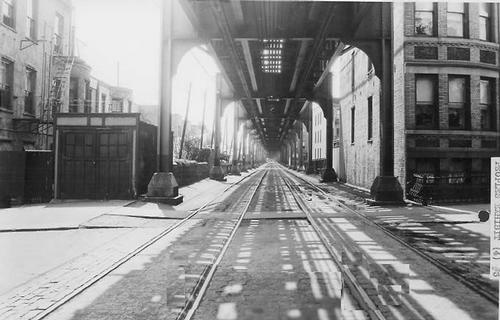 At this time Brooklyn Elevated trains used trolley poles to connect to the overhead 600vDC power supply on the surface ROW. 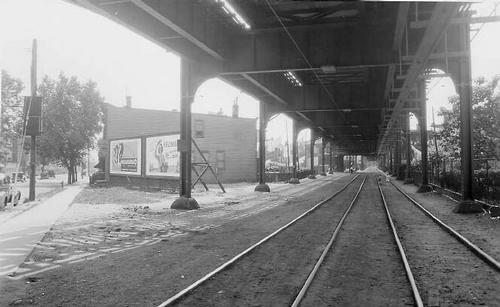 July 29, 1914 the Broadway El was connected to the Myrtle Ave El with an "S" junction structure from east of Broadway to north of the Myrtle Ave line Broadway Station. 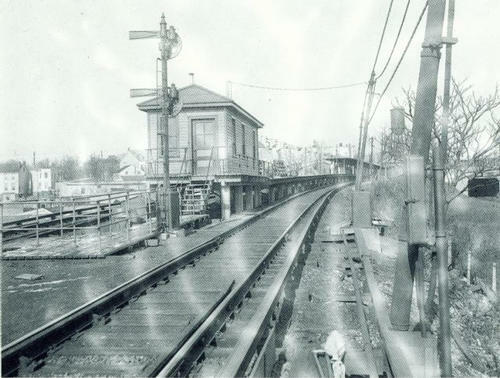 February 22, 1915, the Myrtle Ave El was extended over the Lutheran Line ROW to Fresh Pond Road replacing the surface ROW and the incline to Palmetto St.
An incline was built from the new elevated Fresh Pond Road Station to the original surface PROW to Metropolitan Ave. 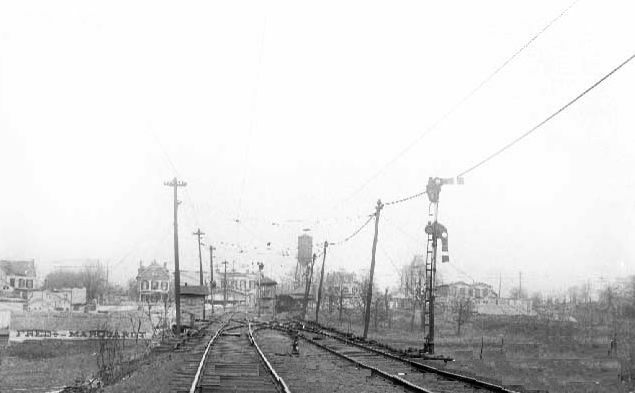 This part of the line was subsequently converted from overhead trolley wire to third rail operation. 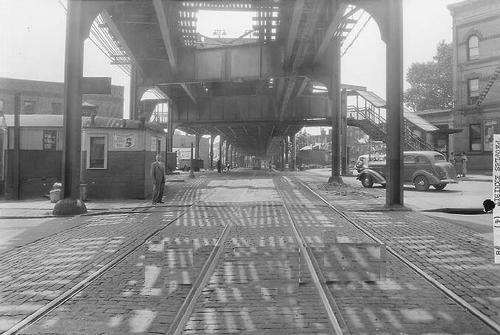 March 5, 1944 the Myrtle Ave el ceases operations south of Bridge Jay Street to the Brooklyn Bridge. 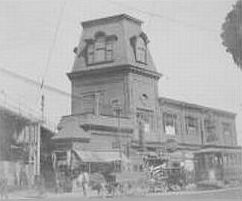 June 12, 1949, Flushing-Ridgewood was converted to buses, which did not use the Lutheran Cemetary Line ROW. 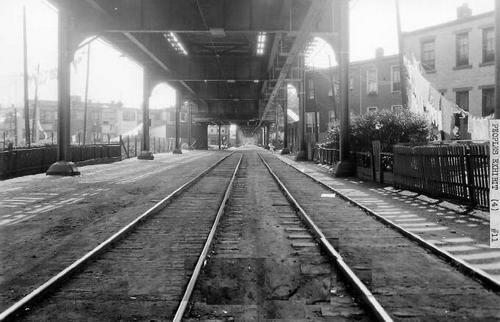 October 10, 1969 the Myrtle Ave El ceases operations south of Broadway. 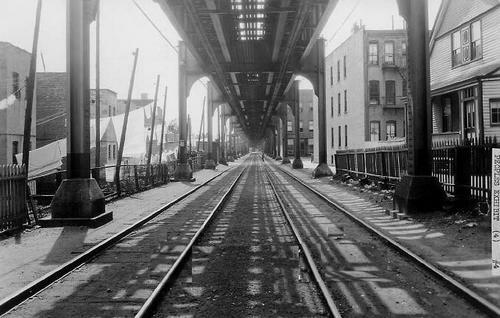 Myrtle Ave trains operate north of Broadway via the connection built in 1914. The original Lutheran Cemetary Line surface PROW to Metropolitan Ave remains in use to this day as the end of the NYC Transit "M" line. The term Private Right of Way (PROW) describes a ROW not along a street or road.